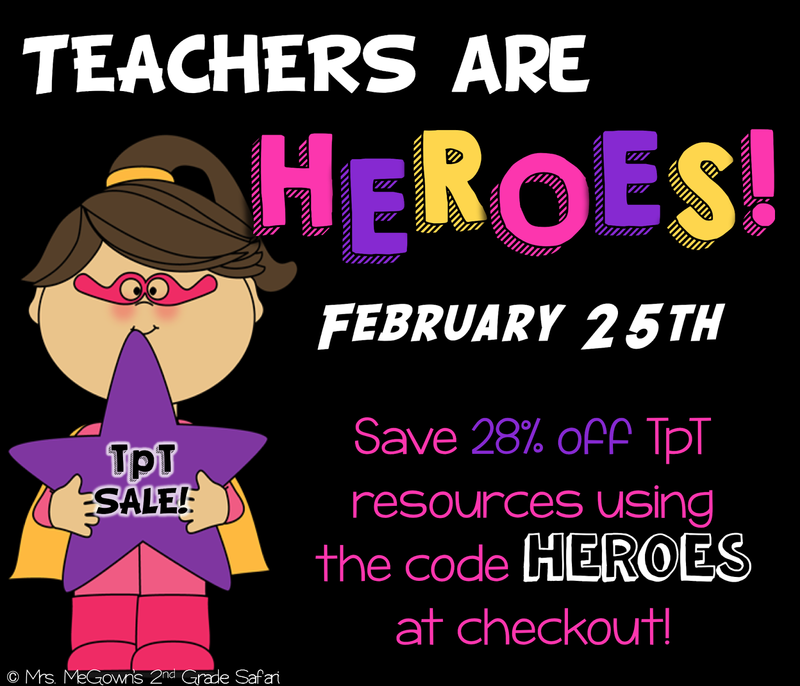 iHeartLiteracy: Teachers Are Heroes! Teachers Pay Teachers Sale February 25th! Teachers Are Heroes! Teachers Pay Teachers Sale February 25th! Use promo code: HEROES at checkout to get an extra 10% off! Everything in my store including my new NO PREP Letter Work, NO PREP Long Vowel Packets, and NO PREP Short Vowel Packets will be 20% off! Plus the already discounted bundles and even the mega-bundles will also be 20% off their already discounted price! So stop by, stock up on resources, and get a great deal!